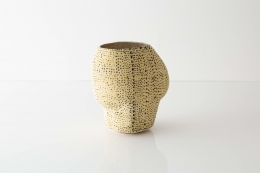 Kristina Riska is one of Scandinavia’s foremost contemporary ceramic artists and a senior member of the Arabia Art Department Society in Helsinki. 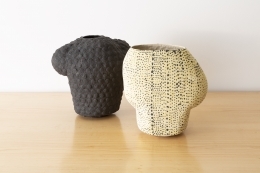 Riska has been exploring, defying, and redefining the traditional tenets of ceramic sculpture since the 1980’s. Her unorthodox, large - scale works, inspired by nature and the properties of light and shadow, embody her rigorous and physical approach to her work. Riska begins the conceptualization of her works on paper, her designs ultimately coming to fruition spontaneously as she works. 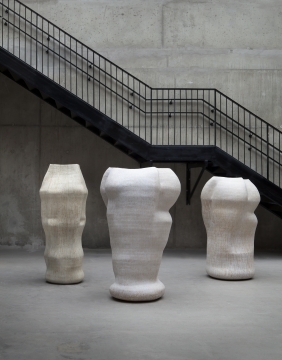 Her process is a foray into the unknown; with each unplanned, instinctive manipulation of the clay, she establishes a non - physical “internal” space. She describes this space as a repository for her qualities of quietude, serenity, and concentration. 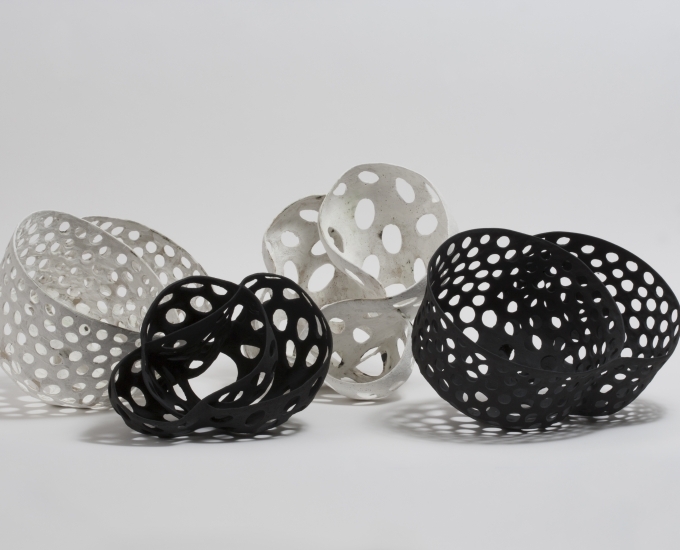 Her unique ceramic sculptures are astounding in their technical prowess; their impressive scale is matched with equal delicacy; the artist creates forms that seemingly defy gravity and the constraints of the ceramic process. Her craftsmanship is evident as well in the beauty of her glazes, given the limitations of firing such monumental objects in the kiln. In 1986, Riska exhibited at the Gallery Bronda, which could be considered her first critical success. On display were a series of vessels so large that the installation proved quite difficult. The State Art Collection purchased two works from the show, spurring a career in which she has been well recognized in her home country and abroad. In 1991 Riska exhibited jointly with the architect Kimmo Friman at Gallery Kluuvi. 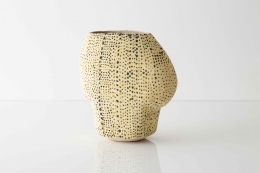 By this time she had abandoned all the traditional tenets of pot making - her curvaceous, imbricated, porous forms were recognized with prestigious accolades, including the State’s Suomi Prize in 1995 and a silver medal at the International Ceramic Contest in Mino, Japan in 2002.